Two-time light heavyweight world champion Sergey “Krusher” Kovalev (32-2-1, 28 KOs) puts his WBO Light Heavyweight World Title on the line against Eleider “Storm” Alvarez (23-0, 11 KOs) at the Etess Arena in the brand new Hard Rock Hotel & Casino Atlantic City on Saturday, August 4, 2018. The event, promoted by Main Events and Krusher Promotions in association with Groupe Yvon Michel, will be televised live on HBO World Championship Boxing beginning at 10 PM. ET/PT. This will mark Kovalev’s 14th appearance on HBO®with Alvarez making his network debut. Kovalev vs. Alvarez will be the first professional boxing event to take place at the Hard Rock Hotel & Casino Atlantic City, which opens on June 28. Kovalev, 35, of Chelyabinsk, Russia, will be fighting for the fourth time in Atlantic City, including his 2014 victory over future Hall of Famer Bernard Hopkins, which unified three of the four light heavyweight world titles. 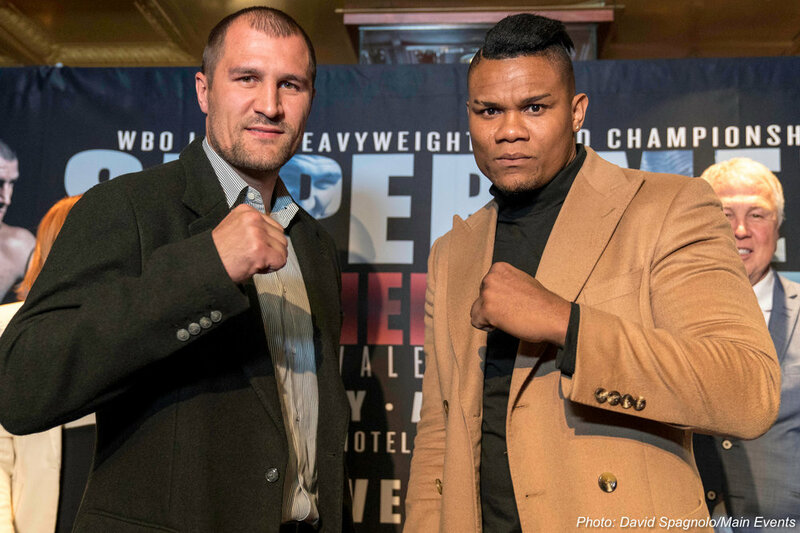 The only light heavyweight world title Kovalev has not had the chance to win belongs to WBC Light Heavyweight Champion Adonis “Superman” Stevenson. Undefeated Eleider Alvarez has yet to fight Stevenson as well. Alvarez defeated Isaac Chilemba in 2015 to secure the WBC mandatory position and the opportunity to face Adonis for his piece of the light heavyweight crown. Since then, Alvarez is 4-0 with notable wins over former world champions Jean Pascal and Lucian Bute. After more than two years since becoming the mandatory contender and almost one year since his last fight, Stevenson has not agreed to fight Alvarez, so Eleider jumped at the opportunity to face Kovalev for the WBO World Title when the offer arrived.